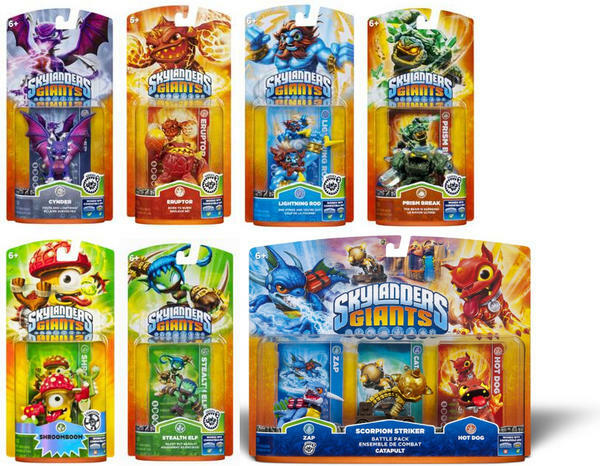 I really enjoy collecting the Skylanders trading cards and I will probably continue to pick up a few packs here and there to see if I get anything cool...Not sure I'll go for the complete set, but there is a chance. 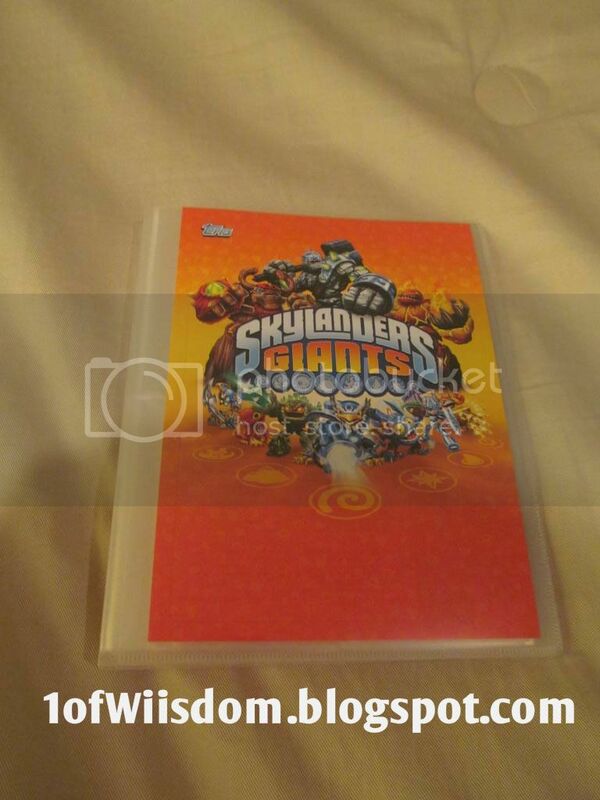 Anyway, I want to basically just post any and all "Opening" or "Review" vids related directly to the Topps Skylanders Giants Trading Cards here. 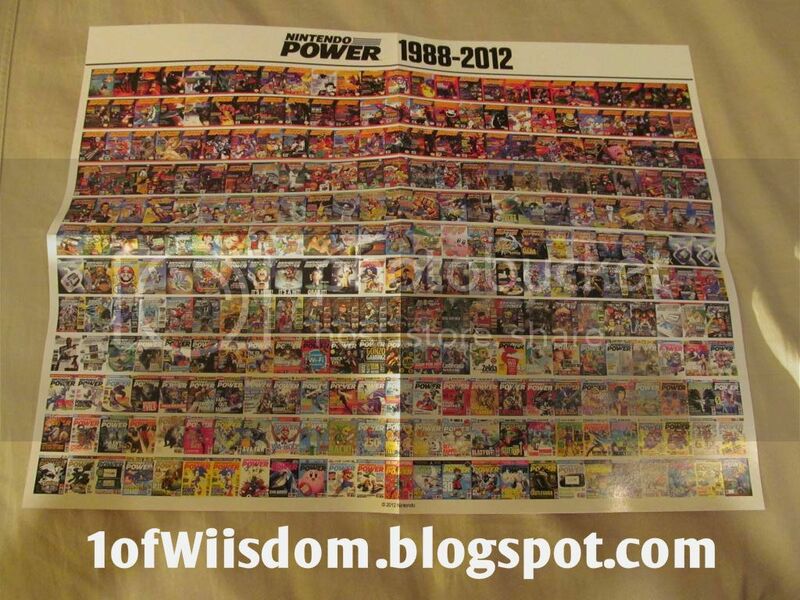 I'll get started with the TRU Exclusive Collector Card Starter Sets and then go chronologically. (2) Topps Jumbo Packs (Opened 4-9-2013)--Base Set Complete!! (3) Topps Jumbo Packs (Opened 4-9-2013)--Because I Had Them Already, lol! The plan was to record a "Christmas Channel Update" that brought everyone up-to-date on the Skylanders Playthrough, covered a few odds-and-ends, and ended asking what you wanted/got for Christmas, or even what your favorite Christmas memory was as a child or parent etc. I have now recorded through Chapter 15. Basically, I'm ready to take on Kaos with stock Skylanders. I say that because I have done NO UPGRADES to any Skylanders thus far. I know the poll that closed (results soon), wanted me to upgrade first, but I might do both. 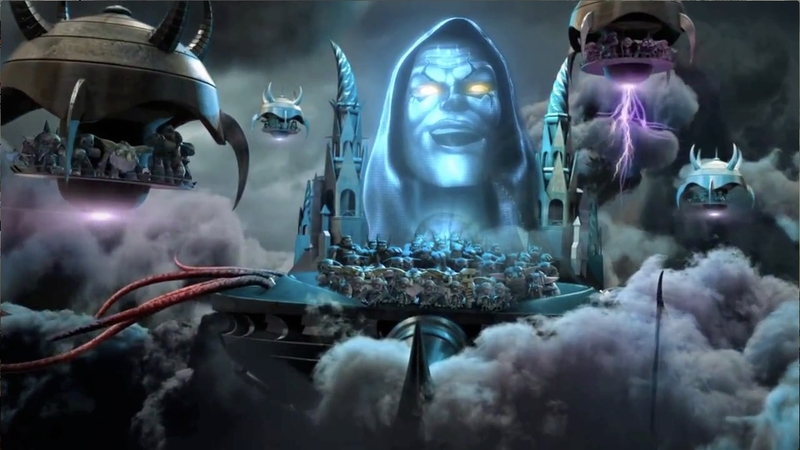 My thoughts are that the "box stock" Skylanders will have a much tougher time against Kaos meaning I will need to use more to defeat him, meaning instead of seeing Jet-Vac, Fright Rider, Chill, and Bash I can just work my way through the entire Newlander lineup, then Giants, etc until he is defeated. That said, I can then focus on upgrades to get ready for the Nightmare Mode Playthrough. Before starting in on that I will actually use upgraded Skylanders to battle Kaos on the completed save file. As weird as it seems my plan as of right now is to battle Kaos and THEN do the APs. For some reason they just don't seem to flow with this game's story line and they'd seem out-of-place if I were to jump from Ch 15 to Empire of Ice etc. I do plan to do them, just AFTER Kaos. I thought of this a few weeks ago, cand Cassie brought it up on the blog...I think I skipped Cynder's Intro and HC, lol. This was likely just me thinking I'd wait to get her "regular" figure as the one I have had all this time has been the GITD version, but we will see. As of right now I have avoided stores like the plague...I am not a fan of crowds, throngs of people, or packed parking lots (ie fenders bent, doors dinged, etc). That means no Wave 3 for me thus far. Should I pick any of them up I will unbox them and upload that immediately. Hopefully the Christmas and New Year's break will allow me to update the Heroic Challenge List, add descriptions to the playlist post, work on the "stats" breakdown, and maybe even get that battle tournament rolling. I just uploaded a slew of vids to get us up to Pat 41. I need to edit the current crop (roughly late 40s-75ish) and will try to do that and upload as time allows...Most of it is of course just game play as not many characters surfaced in the downtime. I know several have said they added me etc, but I have honestly not been on in weeks...Hopefully that will change over the holidays...I'll accept pending requests when I can actually get on, lol. Lastly, but most importantly I want to say MERRY CHRISTMAS!! Christmas is a great time (not just because of gifts) but because it brings people together and that is the true reason for the season. Hopefully in addition to getting to see family and friends you will notice usually grouchy people being a bit nicer (even if it is just for a day or two, or week etc). I just wrapped up (ha, literally) getting all the rest of the presents for my Nephew wrapped and that will be consuming most of my time today (well here in a few hours...it is 5:45 AM and he is usually up early for Pokemon etc). I think he is going to have a good time and that is what we are all after. If the weather is really bad and we get stuck in the house maybe he'll record some Battle Mode stuff with me. 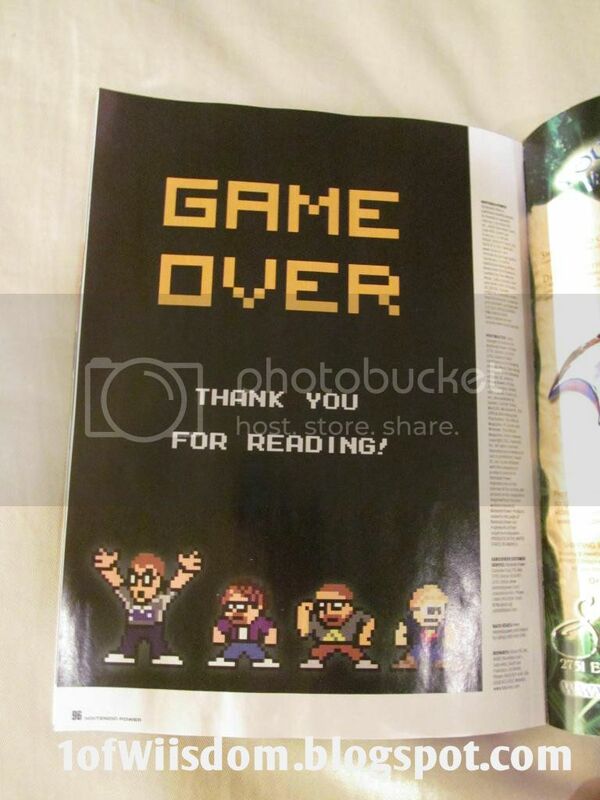 Anyway, thanks to everyone who reads and comments on the blog, shares Skylander info etc. I really enjoy the commradery (that is misspelled but it is almost 6 AM, I'm cool with it) and friendships, even if they are just online. I have some cool stuff planned for the future and hopefully it will pan out well and be enjoyable for everyone. I'm going to quit rambling and hit the hay...Hope everyone has a very Merry Christmas! Feel free to post up your best Christmas memory as a child, or adult...family traditions...weather conditions (rain in San Diego? snow in Baltimore? clear skies in Wisconsin? ), and of course feel free to post up gifts you collect or gave. Enjoy the day and the season! *Please note that the camera was still on "cloud" and thus made for the funky/vintage look. What was Stock Like? Honestly, it looked untouched since I had bout the Jet-Vac Album last week. This is the same ol' song and dance as last time. Album with bonus pack and 2 single packs. This time around I'll compare the two Bonus Packs as that is the real draw of the set. Legendary Jet-Vac Bonus Pack: L-Jet-Vac, L-Ignitor, L-Spyro, L-Stealth Elf, GITD: Spyro, Stump Smash, and Trigger Happy. This really is a good deal, particularly if you plan to collect the complete set. The albums, while I wish they were standard size (3x3) and could house the entire set, are nice and feature the checklist. The price isn't too bad considering you get 19 Cards and an Album for just a few bucks more than a Jumbo Pack. Oh, sorry...I meant to say this is the end of "fall." December 21st, 2012 is the Winter Solstice. So happy 1st Day of Winter everyone! 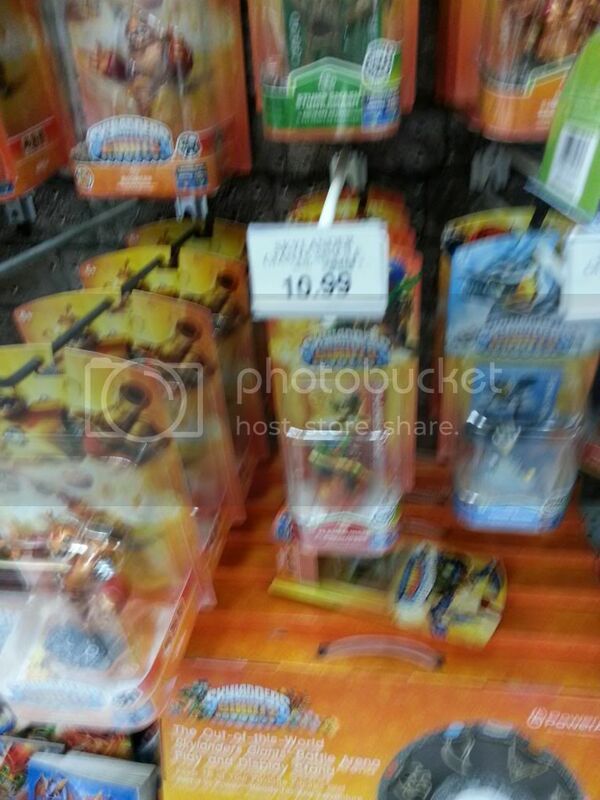 Wave 3 of Skylanders Giants is out. Yep, that's right. Apparently Toys'R'Us and Activision have inside info because they placed the launch of Wave 3 right smack-dab on the morning of what many thought, feared, or in some cases hoped would be the apocalypse. Toys'R'Us is doing another of their famed "come early, stock limited" promos which quite frankly I could care less for. Short of standing outside the store before the doors open you probably aren't going to get what you want. And if you do, it doesn't look to be anything exciting. Coupe that with the lack of any good sales and you have the makings of me waiting it out. Several TRUs released LightCore Shroomboom to the shelves Wednesday or Thursday. I was in my store tonight (Thursday) and saw nothing. Similarly, a few folks came up with S2 Lightning Rod, Eruptor, and Prism Break via broken street dates. This is usually the case of a "seasonal employee" being given the task of stocking shelves and doing just that, largely unfamiliar with store and/or company policy. (Of course the real fault lies with lackluster management, but it seems no one likes to take responsibility nowadays). As of right now we have only heard rumors of Thumpback being the Giant in this Wave. That said, there have yet to be pics, ebay listings, or anything concrete. Similarly, Cynder and Stealth Elf are to be in this release, but I've yet to see pics...perhaps they will be packed in a different assortment. My research tonight turned up nothing: Toys'R'Us had nothing and was so crowded I wasn't about to venture into the mayhem (really not much was going on in electronics) to seek insights. Target was pretty picked over and had nothing new. I wasn't about to set foot in Walmart. Based on what I saw at Target and TRU my last fantasy of the night involved walking into Walmart 5 days before Christmas...plus a lot of people around here seem to be getting sick. GameStop was my safe haven...not near as trafficked as the other stores. I was hoping they'd tell me they had the Wave 3 boxes in the back ready to and they'd hold the new stuff for me till tomorrow...no dice. 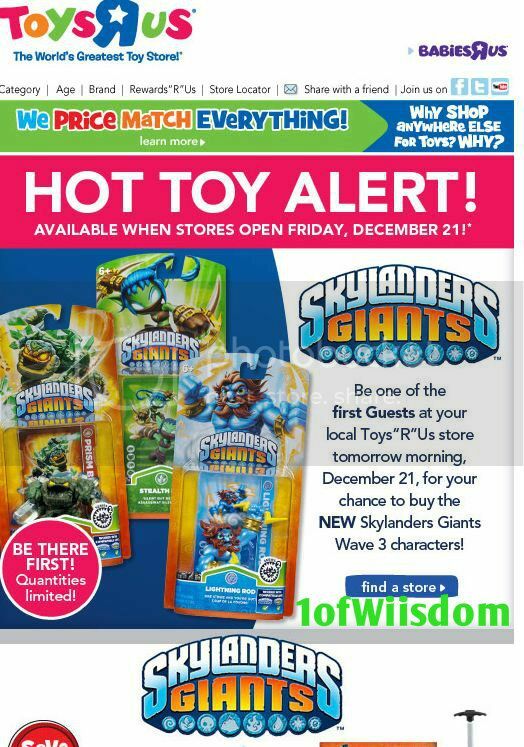 I was told they had no word on when they'd be getting any new Skylanders, but that sometimes they do get stuff the "day of." I may call in tomorrow, not sure...really not too keen on crowds and traffic...particularly when said crowds and traffic are all doing the same thing: last minute Christmas shopping. I will be honest here...I am excited about S2 Lightning Rod, but since I've already got the LC versions of Eruptor and Prism Break I am not in a huge rush for them. I do think LC Prism Break is another great repose though! The perk to those two is unlike their LC counterparts we will have the WowPow, which is really the big draw to the reposed figures. Similarly, while LC Shroomboom will provide a way for those without the Dragonfire Cannon Battle Pack to land the newlander, I've got is standard pose and don't feel obligated to pick him up at full price. Stealth Elf is great and one of my top characters, but again...L-Stealth Elf is already in the arsenal so there is no rush. Cynder suffers the same fate as I have 2 of her GITD versions form the Wii and 3DS Starter Packs. As you might have expected, we have no insight into triple packs. However, I would almost bank on the fact that before you see a Cynder+Stealth Elf+Lightning Rod Triple Pack we will have to endure them packaging the already released Skylanders into Triple Packs. The real highlight of the wave is honestly the Scorpion Striker Battle Pack which will be a timed exclusive to GameStop and that many of us have already reserved. Hot Dog will wrap up the new Skylanders and this will give us access to Zap, who I am thinking SHOULD have a wicked WowPow!! The other big draw is simply the ANTICIPATION of what, if any, Giant will be released. Several have speculated we won't get a Giant this wave. I'm more of the mindset that it will come, just maybe not tomorrow with Eruptor, Prism Break, and L-Rod etc. Thumpback makes the most sense to me as he looks the most like winter, lol. I still say Ninjini looks like spring (or Valentine's Day) and since Eye Brawl was not released at launch he just as well be the last released. I still maintain that Eye Brawl should have been at launch while Swarm was held off till the Spring. Anyway, as always the bottom line is until an employee or vendor gets stock and coughs up pics, or more likely makes ebay listings we won't know which Giant it will be. That is why I don't like to post speculation...I could outline what I think should happen and what I think will happen (they would be different), but the bottom line is until it goes down we are all in the dark. Someone will guess right, but it is far from a prophecy. That warps up the Wave 3 excitement. I will try and pick up my Scorpion Striker Battle Pack on release day (1/1/13), but past that I may actually wait on picking up this latest string of Skylanders...at least until we get a good sale. I would definitely pop for S2 Lightning Rod and Flameslinger or Prism Break on a BOGO 50% sale. Well, big news here. As of last night (12/20/2012) I am ready to fight Kaos...with stock Skylanders. I recorded Chapter 15 (probably my favorite thus far) and have collected all the items in 13-15. The blog poll just closed on whether you want to see me fight Kaos with stock (more of a challenge and more importantly more Skylanders), or fully upgraded Skylanders. It was obvious most prefer "upgraded." That said, I am kind of leaning towards "stock" for the challenge AND to get to cycle more of them into the battle. I'm sure there will be video comments about how horrible of a player I am as they are all nearing death, but that can be attributed to people not reading descriptions or listening to the intro commentary. That said, if I do go that route I will then simply re-record when they are upgraded. Simple fix and everyone is happy. Plus, in all honesty, if I don't record the battle with them "stock" it is going to take a long time to gather up the cash to fully upgrade everyone. I will post up what route I go. Sadly, due to internet issues I haven't been able to upload. I hope to do that over this weekend as well as editing some more to get them ready to upload. I also have the 100cc Mario Kart vids waiting in the mix, lol. I still need to record the 150cc stuff, which should be interesting since I haven't played in a few months now. Obviously, any new Skylanders I get will be treated to an unboxing, introduction, and heroic challenge vid ASAP. This should be returning very soon...Stay tuned! I have yet to get to check YouTube comments, but if people enjoyed the vids I've got 4 single packs to open up...I also picked up the "other" Starter Set at TRU tonight and I will get it opened, recorded, and uploaded soon...possibly tomorrow. New category...mainly because this was a killer deal. 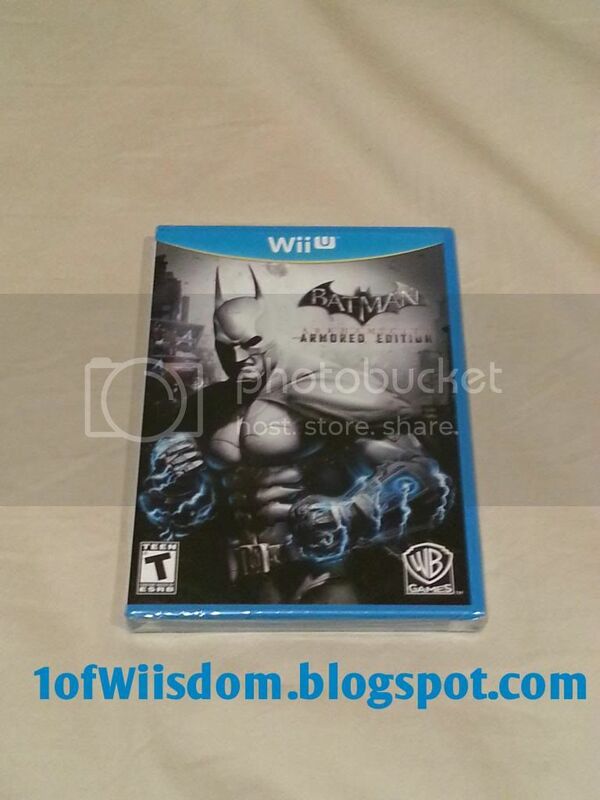 Just late last week and early this week I had posted that Batman Arkham City Armored Edition had dropped $10 to $49.99 at GameStop. I was shocked to see it back at $59.99 last night. I was pleasantly surprised when I walked into Target and found the game $20 off at $39.99! I figure the game will drop to $49.99, but I think it might stay there for awhile. This is supposed to be an incredible game that makes excellent use of the Wii U Gamepad AND it includes all the DLC. I'll take my chances at this price..The cool thing was, this was the LAST copy in my Target! They actually had to get it out of the flip cover on the front of the case! I am looking forward to playing this, but it will have to wait awhile. If you are in the market for this game, I suggest you check your Target for stock as that is a great price in my opinion...particularly if you plan on getting the game any time soon! Well it is 4:13 AM and I'm not dead yet...guess that is kind of cool, right?! Hopefully the same applies for you! Otherwise, it is kind of pointless that I'm up typing this and not asleep. Anyway, I hope to get the vids uploading soon and I very well may take on that creep Kaos with stock Skylanders (just for the fun of it). I'd also like to finish Professor Layton and the Curious Village over the holidays...don't think I lack much of it, but I honestly haven't gotten to play it in awhile. I should have the Giants playthrough vids going up all weekend (time and internet connection allowing). I'll also try and get the Skylander Trading Card Starter Pack up...maybe some other things too. Merry Christmas! Hope everyone has a great time with your friends and family. Not really, but I am entitled to type junk like that when it is 3:17 AM...this is when I am usually recording and that tends to peak my awareness. Wave 3 Speculation and Discussion. Anyway, it is widely rumored/believed/expected/guesstimated/thought/somewhat not fully doubted that we will see Wave 3 hit next week. These reports come from real people just like myself who have no reason to lie and who are well known in their own GameStop store to not be fed lies, or believe about mythical indiglo cotton-esque Landskyers. So, take what you will, but that is the word on the street. S2 Drobot make sense to hit since he is in the same LC group with Prism Break and Eruptor, that said, they could hold him out. 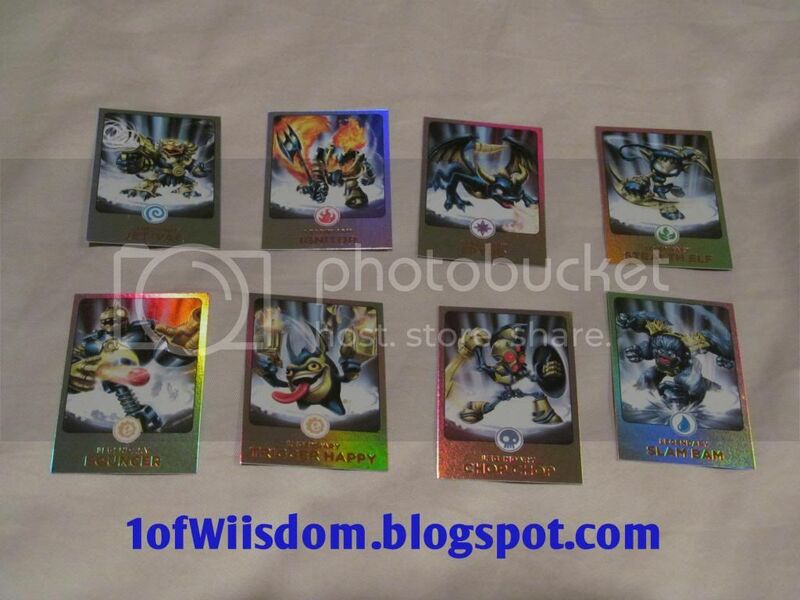 We also seem to be backlogged on the the Magic Element, but I suppose they could backload them into Wave 4 and Wave 5. The Giant for this run is widely expected to be Thumpback. We really have no way of knowing, but he makes sense. I'm still miffed Eye Brawl was not released before Halloween though...I still think Swarm and Ninjini should have been the spring releases, oh well. Again, about all that is certain is the Battle Pack and LC Shroomboom. That said, I've seen 2 people purchase S2 Prism Break and Eruptor...both are in the US and in California. Thanks to @pbacchi on Twitter for the above picture and Victoria on Facebook for some insights as well as a few "unnnamed" sources! I am actually NOT going to pre-order Shroomboom's LightCore. First off, I pre-ordered it eons (no pun intended) before the game even came out only to have TRU cancel my pre-order. Second, they shipped me incorrect LightCores on the only segment they didn't cancel. Third, there is currently not a sale. Fourth, I have really yet to see anything other than the initial few weeks (and Hot Head) that have been a pain to track down. Fifth, a triple pack has to launch at some point...right? And lastly, I am thrifty...there have been killer sales (most notably BOGO) almost every other week at TRU. I would much rather pick up LC Shroomboom and land S2 Lightning Rod at half price than pay full price for both...There are a ton of reposes and variations in this game and it is very expensive. What Was Stock Like? My local store did not have these out last week...the spot they resided was Pokemon stuff last week. That said, the peg was full, I'd say maybe 8-10 of them and I'd imagine more were in the back. Break it Down Some More: I have to say, this is a pretty sweet set-up. If you are going to go for a complete set, I would suggest you pick this up (and the other TRU Exclusive that will have Bouncer or L-Bouncer in the "Bonus Pack"). Personally, what I like best is simply the checklist. I was dreading having to go online and hope someone had strung a complete set together and conveyed all the info accurately...Now I don't have to worry about it. I'm at a loss for why the binder would't house the complete set, but I suppose you need both Starter Kits so I guess the 2nd Album will take care of that. 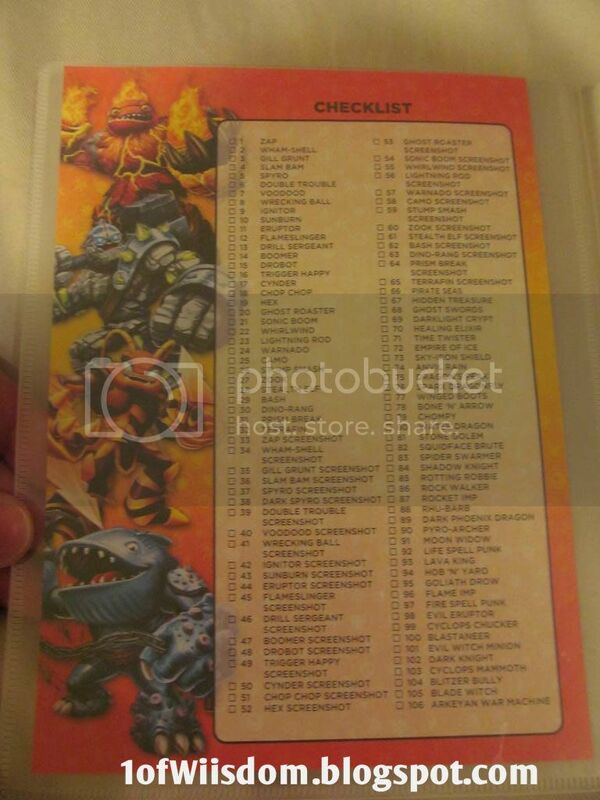 -Album with front and rear covers that include the checklist. ---And since you are reading this, here is what was in my pack: (L-Jet-Vac, L-Ignitor, L-Spyro, and L-Stealth Elf plus GITD Spyro, GITD Stump Smash, and GITD Trigger Happy). All-in-all, this is a nice set-up for both the hard-core completionist and the casual collector. This would be a great gift (along with a few packs) for your kids, or any Skylander fan as it will either get them started on their collection, or provide a nice set-up for trading for their favorites and having a place to display them. 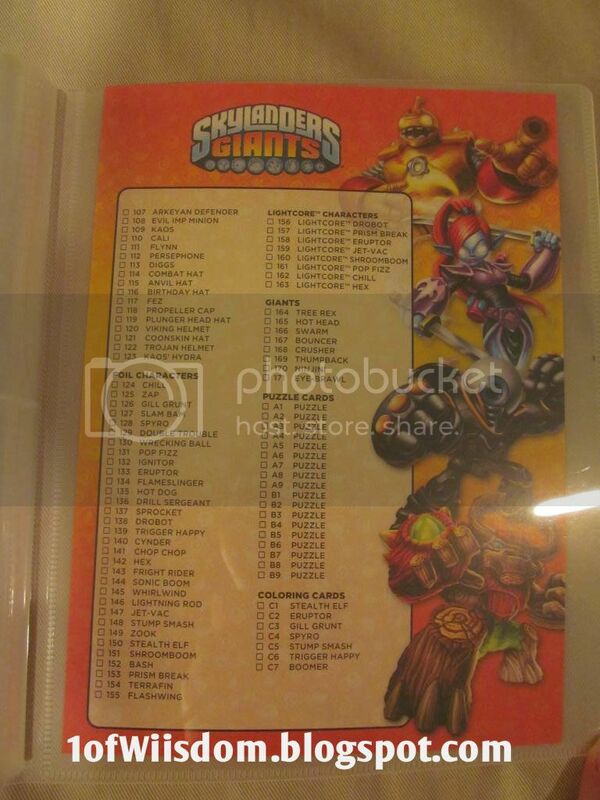 I'm still not sure if I'll go all out on this one or not, but I do think I'll pick up the other Collector Card Starter Kit and maybe a few more packs...The cards are nice and it is solid gear for any true Skylander fan. Stay tuned as I'll try to get the checklist up in some form or fashion. 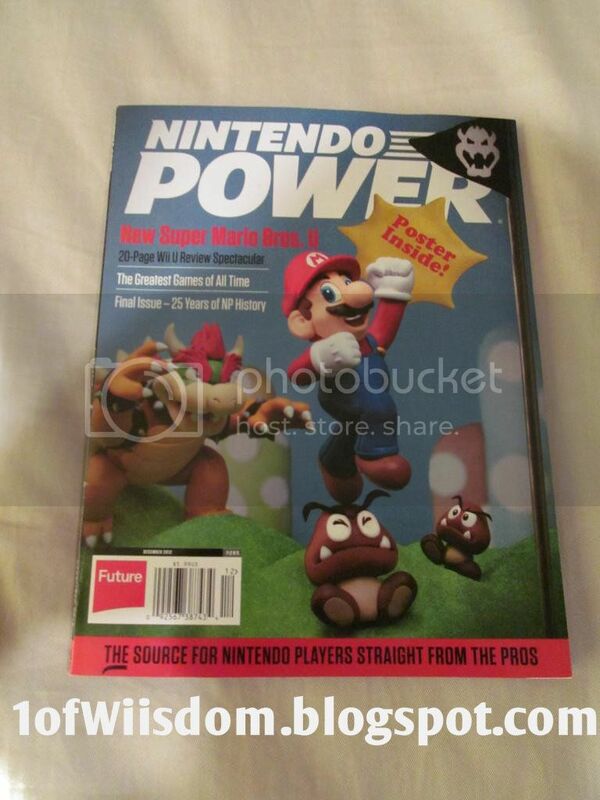 For those of you that follow the blog, you know I am a big proponent of Club Nintendo. You buy great games and by simply taking the time to register them and fill out a few surveys you get coins. These coins then allow you to purchase some really sweet, exclusive Club Nintendo gear. However, if you hit Gold Status (300 Coins), or Platinum Status (600 Coins) in any Club Nintendo Calendar Year you receive free gifts. Ie if you had 450 Coins you can get the Gold Gift sent to you and still have all 450 Coins. It is basically a way for Nintendo to garner the feedback it desires from the enthusiast base while rewarding them with official ClubNintendo merchandise. Similarly, something new for this year, was the option for players to forgo the "physical" gift and pick up 1 of 4 downloadable games: Mario vs Donkey Kong: Minis March Again! (3DS), Metroid II: Retrun of Samus (3DS), The Legend of Zelda: Majora's Mask (Wii Virtual Console), or Super Mario Kart (Wii Virtual Console). I was tempted by the Majora's Mask option, but I ultimately felt that I should go with a platinum gift. I really think the calendar is cool, but again, that is like winning a year's supply of batteries and just taking half of it. I do think the posters are very nice, but I ultimately decided the cards would take up less space and I'm banking on more people picking the posters so I hope that the cards are the more rare choice. Only time will tell, but regardless I am very happy with these Platinum Playing Cards and the fact that they were free only makes them that much better! What Was Stock Like? Quite a few on the peg, I'd imagine there are more on the back...the card display is very minute at most stores and the stock is always constrained by the display space. 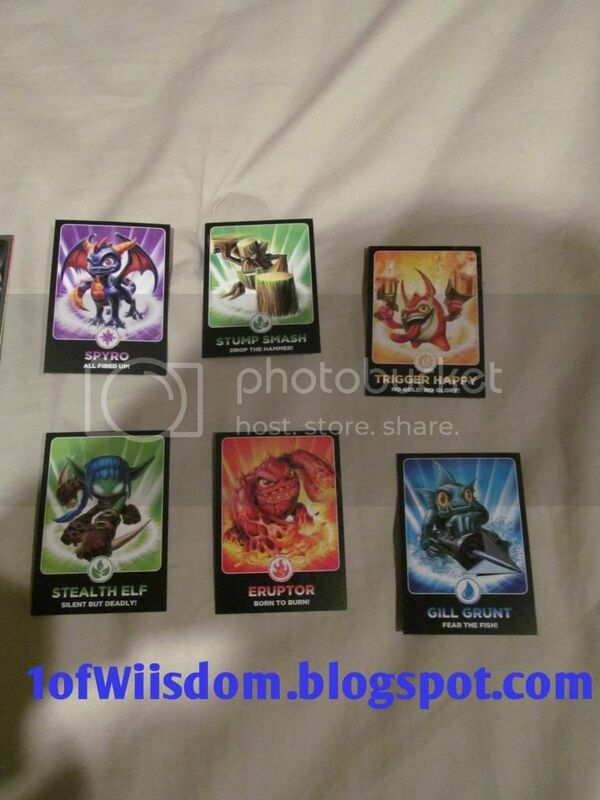 Check out the blog post and video on the TRU Exclusive Starter Kit for more on the Skylanders Collector Cards! What Was Stock Like? Plentiful! In store or online, you should be able to find GITD Sonic Boom very easily. While I am not a fan of Sonic Boom's Series 2 repose, I am a fan of GITD figures and the fact they are easily attained doesn't hurt. I knew this could have been hard to come by, but it just wasn't worth it to me to walk into Walmart on Thanksgiving or Black Friday. Luckily, as I predicted, GITD Sonic Boom was just as easy to find as the GITD Starter Packs. Walmart, unlike most retailers, wants quantity. If something sells, they want it on their shelves. That works great for you and I. While the easily attained GITD Sonic Boom may not fetch the same price as say a GITD Warnado or Stone Zook, it does give the average, every day, non-employee, non-scalper, a chance to pick up a real, in-game variant. When you register Sonic Boom into Giants she should show up as a "Series 2 Special" and come with 2,000 Coins while beginning the campaign at Level 5. Very cool! Hats of to Toys for Bob, Activision, and select retailers for realizing that the every day enthusiast wants in on the variant rush...They still have the hard to obtain variants, but these "easier to find and cheaper to buy" variants are very nice. I also want to stress that Sonic Boom's GITD paint job looks much better than Cynder's. I know several people complained about how spotty Cynder was. Whatever the issue was, it seems to have been resolved. Sonic Boom looks great in the packaging and glows incredibly bright! If you want GITD Sonic Boom I suggest you pick her up just in case production slows down or becomes spotty later on...As of right now she should be very easy to find and take home...Good luck! What Was Stock Like? Hex seems to either be fully stocked, or stashed away. That said, if you spend time digging, or simply check multiple stores you should be able to bring her home. Hex is back and this repose is a nice tribute to her Rain of Skulls. For the diehard Hex fan you will be glad to know she is also getting a LightCore pose, which as of typing this, has yet to be released. As mentioned, she can be tough to track down at the moment, but a little time skimming the racks or checking other stores will usually have you going home happy. What Was Stock Like? Bash is a little harder to come by, but if you skim the racks or check multiple stores you should be able to find him locally...same applies online. Bash is back and looks every bit the beast we all came to know and love in SSA. This repose fitting features the Triceratops Honorguard, Bash's Soul Gem from SSA. I think it is a nice repose and the Soul Gem being highlighted was a great choice for this Earth Element brute. I have had some trouble locating Bash, but usually if you dig around the racks, or just check multiple stores you can find him. 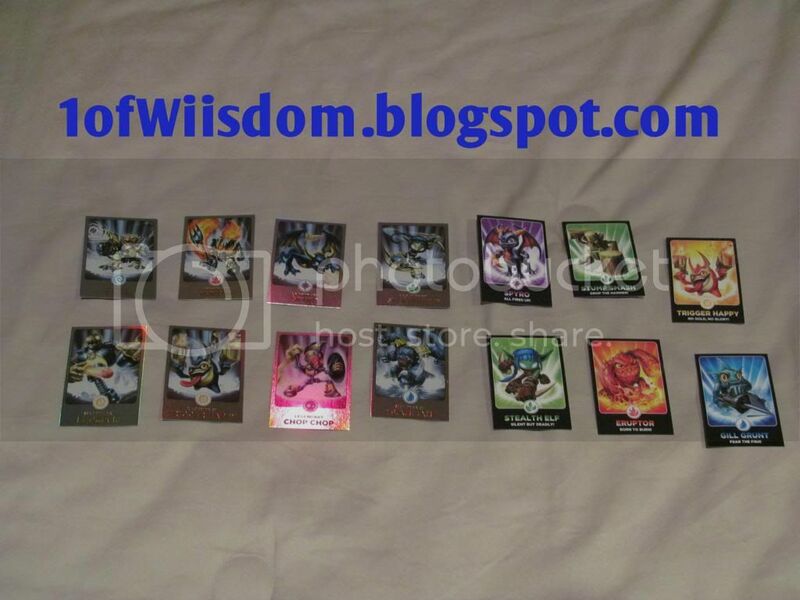 Blog Poll #37: Stock or Upgraded Skylanders to Battle Kaos? Blog Poll #37 is an interesting one as I just got the idea last night...It is also hard to word...I will spell it out here and go with something more generic for the poll itself. "Do You Want Me to Battle Kaos in this Giants Playthrough with Stock or Upgraded Skylanders?" I think that is pretty self-explanatory, but I will elaborate. If you have followed along in the playthrough you will notice I have made ZERO upgrades to ANY Skylander. I'm ready for Chapter 13 and yet everyone is box stock. I had originally planned to kind of upgrade in segments (ie base upgrades...path...Soul Gem...Wow Pow (if applicable) etc). I really enjoyed how I did things in SSA...basically upgrading any Skylander ASAP. Say I just introduced Flashwing and she got enough cash for an upgrade in that chapter...she gets the upgrade before we enter the next level. For whatever reason (probably still leery from the Weapon Master Glitch), I have yet to upgrade. However, and in large part to my plan to record a playthrough on Nightmare Mode (you've got to beat Kaos to unlock it), I had the idea of going stock. I'm basically willing to forgo the upgrades and take the current fleet of Skylanders into battle against Kaos. Nothing fancy, no tricks...just a literal 1-2 punch for each Skylander. I don't know how hard or time consuming the final battle with Kaos is in Giants, but this would definitely make it more of a challenge (ie dealing 7 damage on a punch as opposed to 45 fully upgraded). I should honestly be to Chapter 15 by that point unless I just stop recording to edit and upload the current log of videos. So, what would you prefer for this initial run in with Kaos: No Upgrades or Fully Upgraded? So, here it is...early morning Monday, December 10th, 2012...I'm finally going to crank this thing out for good! I really hate not hitting YouTube comments, but the simple issue is time. It takes an hour or two (yes, each night) to respond to the well intended comments and questions. The biggest time consumer is finding those comments. For every, "Oh, hey...how did you do that" or "Which upgrade path is better" there are 4-5 totally random comments, or people trolling, or insulting other people's comments. If I were to try and take care of the comments like I used to I would never get to record, lol...it is an easy decision. I make it a point to have the blog link at the top of the video description. If it is important, you can ask here and get a response WAY QUICKER than on YouTube. In a perfect world I would spend the time to find the comments and questions that are genuine, but between work and trying to sleep 4-6 hours a night the time just hasn't been there. Sometimes I will hit them...especially if I plan to record and the audio has issues. That said, the blog will always be the best bet to communicate with me or get insight, ask questions, or share your tips! I'm hopeful at some point I can hit a few each night again...right now it has just been too hectic. I basically got a feel for the three games I picked up and explored Miiverse. I will say, especially for those of you here on the blog...You can follow me or add me, just look for "1ofWiisdom." I had a nice profile comment, but apparently it didn't fly with an administrator...About 2 weeks later I got time to log in and change it, lol. At least you know from that scenario that I'm truly strapped for time and not just avoiding YouTube comments. Need more proof of my lack of time? I've got Paper Mario Sticker Star sitting on the pool table...in the wrapper :( I've actually acquired a few other gems I might highlight soon...and yes, none have been played, lol. A big thanks to all of you! I thought it was pretty cool Liz was playing Professor Layton and the Last Specter as it is a game I really enjoyed and got me hooked on the Professor Layton series. Anyway, I was so stoked to finally land some serious Street Pass Action I wanted the pics here, lol. Alright, so where is Part 31? Believe it or not, it really is edited and ready to upload...I think I have up through Part 45 ready to go...I just have run into time constraints or a very, very weak signal (ie a 20 min upload turns into 6 hrs 41 minutes). I should get a few of them up very soon...likely tonight! As for the playthrough itself, this weekend (Friday night to be exact) I recorded up through roughly Part 61, which will be a compilation of "what we missed" in Chapters 9-12. My next recordings will be some character introductions...I don't want to spill the beans on who it is...bu you should see their unboxings up pretty soon. Once I introduce the latest additions I will continue on to Chapters 13-15. Well, I am even backlogged here. I am hoping to upload vids from the playthrough tomorrow night while I am recording a few unboxings. 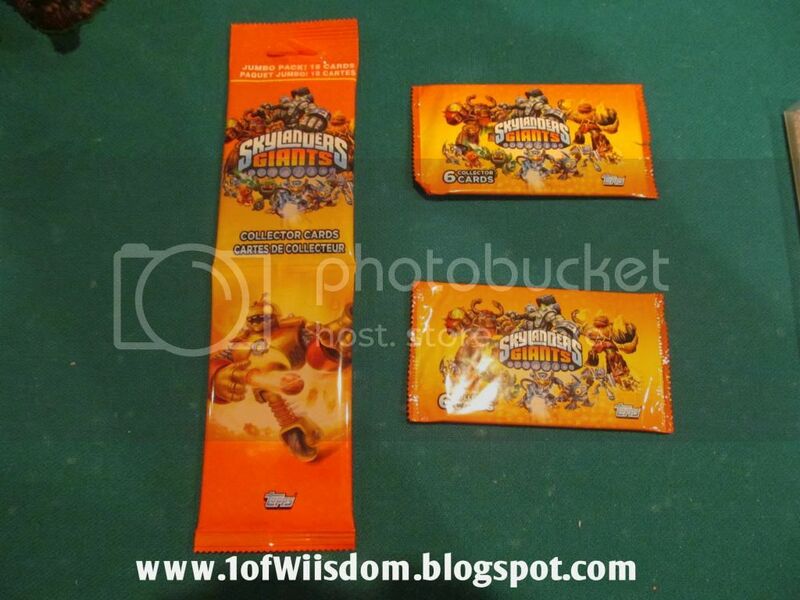 There are 2 Skylanders I will not be unboxing...You probably know who they are, but if not, you will find out. I have been very diligent in hunting for variants and have come up empty. I honestly think the big issue there is that two of my sources actually have employees who pull them. I'm sure one may snake by when they are off, but that makes the slim pickings down right scarce. I'm always optimistic and keep looking...even at the old SSA stuff, lol. What's that? Yep...I finally found the time to archive the results from the most recent round of polls! Blog Poll #35 Results: Cats or Dogs? Blog Poll #36 Results: Do You Like Skystones? Somehow, I even made a new poll. This one should be interesting as I had the idea of spicing things up by taking on Kaos with box-stock Skylanders. I figured it would make things a lot more challenging and possibly get more Skylanders involved in the final showdown. Please note that I will have them upgraded for the Nightmare Mode save file...I just thought this was a nice way to differentiate things. Blog Poll #37 Stock or Upgraded? I've really wanted to make this happen, but have lacked the time. My other issue is that most of what I want to do needs Hot Dog or the other Giants out and well known before they can really be conducted fairly. That said, I may work around it...we will see what happens. If all goes well I might even have a new round of Battle Polls up this week! Can you believe it is only 15 days until Christmas? Very hard to believe! Hope everyone is excited and has their plans to see family, friends, avoid school, and get some game time mixed in with everything else! Well, it is now pretty late and I'm beat. I hope to upload a few vids tomorrow night while recording a few unboxings...Oh, and there are more surprises! Why is it that all the cool stuff seems to happen at the same time? Oh well...I'd rather have cool stuff piled up and backlogged than no excitement at all. Hope everyone had a good weekend and is ready for Christmas! Coming Soon...as in later today/tonight. I was, as you know, out-of-town for Thanksgiving. I got back last weekend, but have been very busy. The good news is I have some cool updates AND I have recorded quite a bit more Skylanders action thru the week. I uploaded a few vids tonight and should pick back up tomorrow after a Christmas Party. I also believe I got caught up on all the blog comments...If I somehow missed yours just post it again or let me know. As always, I put a priority on the blog over YouTube and Facebook etc. I also have a few blog posts in progress, most notably the "poll result" posts....I should crank those out soon. I have also FINALLY added videos to the Skylanders Giants Blind Playthough Post and will get all the video descriptions added very soon. Well, I guess this is a compilation weekend update now. Anyway, I will wrap this one up tomorrow (hopefully) as well as hitting all the other posts. Both of these sales are good thru 12/8/2012, or in laymen's terms...Saturday. I pre-ordered the Scorpion Striker Battle Pack and confirmed 1/1/13 as the street date. I also confirmed they have no insight as to when Wave 3 will drop. I really think I'll get quite a bit done this weekend...keep your fingers crossed. You should see new videos as early as tomorrow. Check back later this weekend! I'm hitting the hay! What Was Stock Like? 3 "out" in the store. Tons were in the back. Most stores have special bins or end caps set up for L-Stealth Elf. If you go into your TRU and do not see this, or a few pegs dedicated specifically to her, ask an employee as there are likely plenty in the back. Legendary Stealth Elf is yet another SSA repose that is very deserving of a "Legendary" status. She is insanely quick and when upgraded down Pook Blade Saint an absolute terror in both story mode AND battle mode. 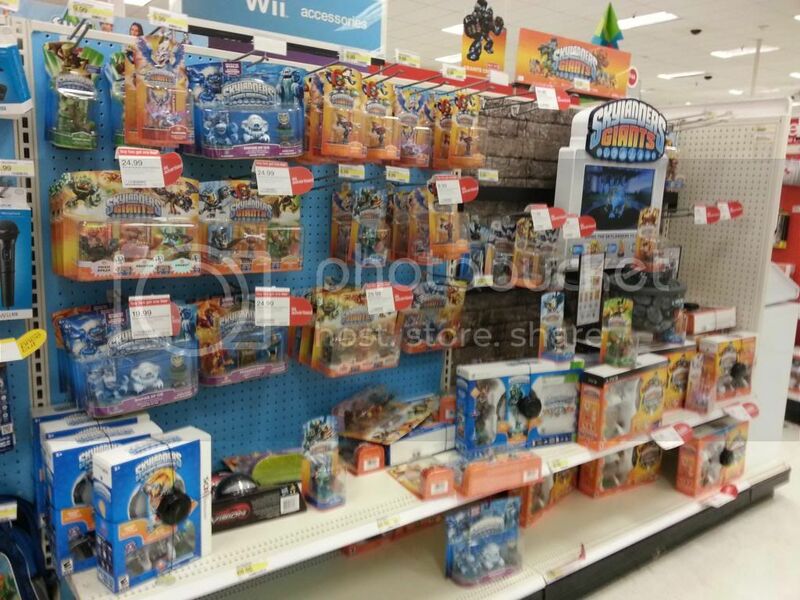 As with all Legendary Skylanders, L-Stealth Elf will be exclusive to Toys'R'Us (here in the US). I honestly feel like L-Stealth Elf will fall along the lines of what we saw with L-Trigger Happy. If she is ever "sold out" I would expect a big shipment to restock within a week or two. I would not purchase her with the hopes of scalping her later on down the road...you are just throwing money away! Granted, I could be wrong, but it seems Activision and select retailers (notably Walmart and Toys'R'Us) like to get exclusive Skylanders and keep them stocked. As far as the look goes we have a nice "motion" pose with this iteration of Stealth Elf and while many times the "Legendary" color scheme fails in comparison to the character's stock look, I must say that it seems right at home on L-Stealth Elf. If you want her and do not currently have her I would advise picking her up before Christmas as that is really the only span I can envision stock possibly being overtaken by demand. If you do run into that situation just be patient. DO NOT shell out $45 for her and call it good...just wait a few more weeks and pay retail. 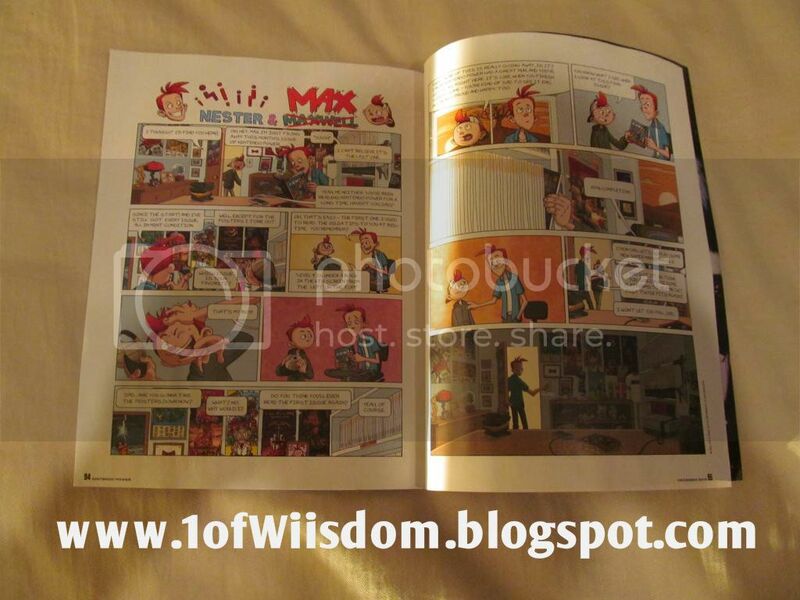 That said, at this point in time you should have no trouble finding her in stores or online. It is nice to see Toys for Bob and Activision bring her back not just in S2 form, but as a Legendary.